Way back in August I had the absolute pleasure of working with the incredible beauty that is Nymph Suicide! 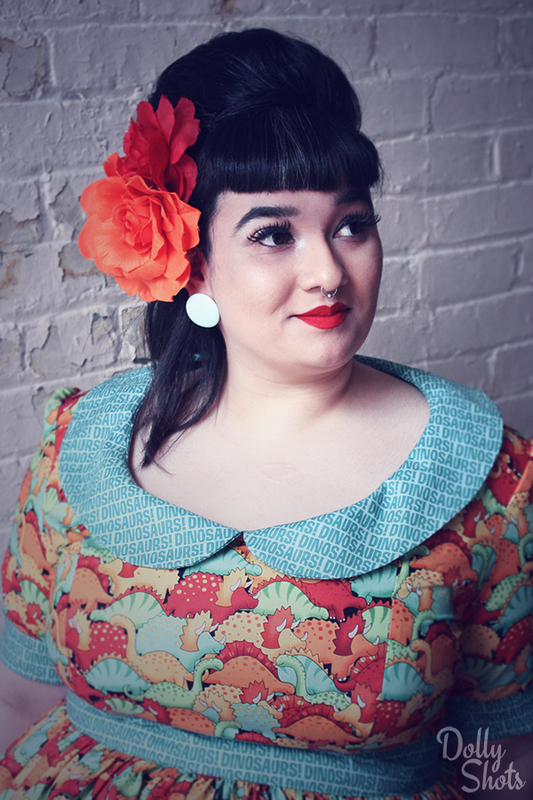 We found the perfect spot behind Massey Hall in Toronto for this fun little pinup shoot. Happy October and Happy (almost) Halloween!! I’ve been a busy bee for the past few months doing lots of shoots, both in front of and behind the camera, and I’m ready to get back to posting regularly here at Classically Curvy! To start off, I had a lovely time modelling for the alternative fashion brand Gloomth & The Cult of the Melancholy in a few of their classic skater style dresses. 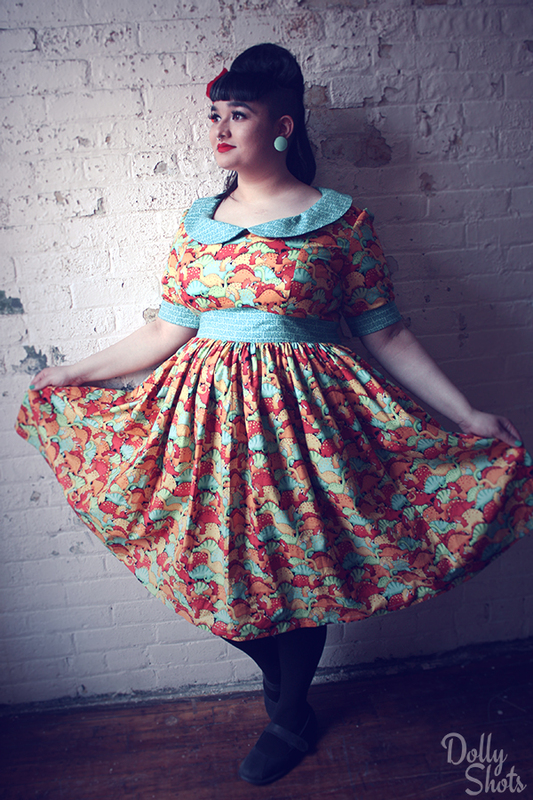 The first look was this whimsical “Doll Hospital” dress. 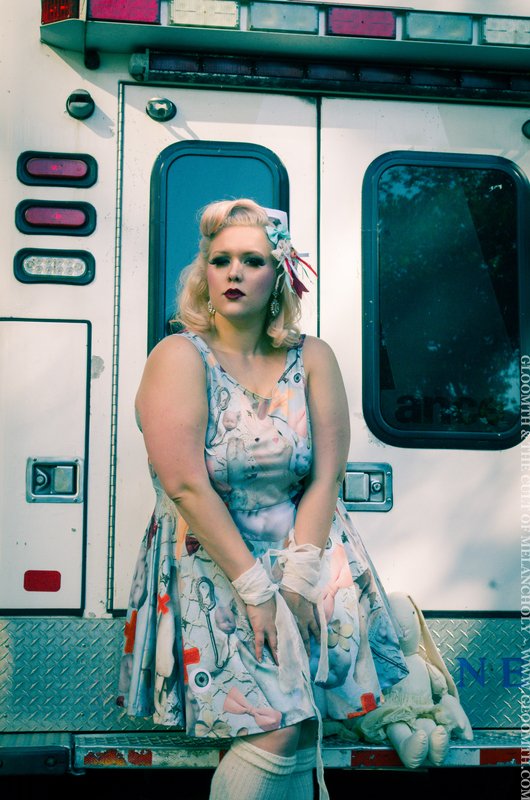 We were lucky enough to find the perfect setting in front of an out of commission ambulance to shoot this look. Henrietta VIII is the most powerful crime lord in the galaxy and Betty Quirk is exactly her kind of scum. 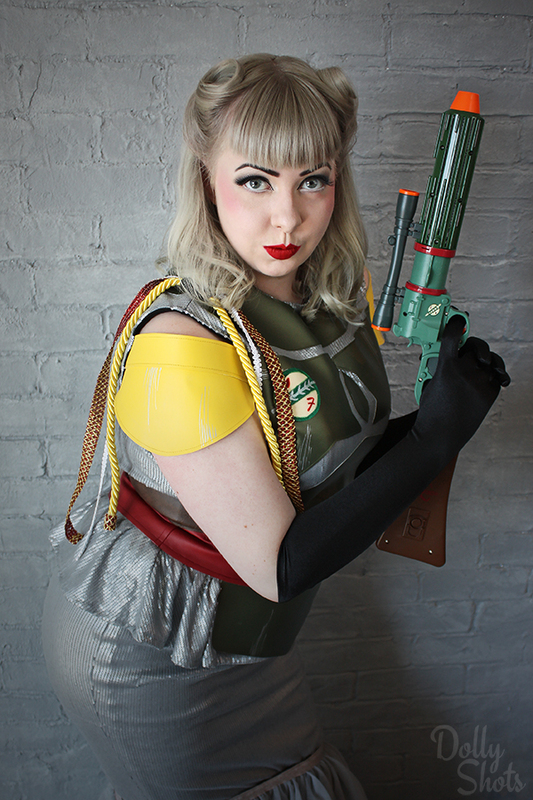 Being dangerous space criminals has never looked so good! 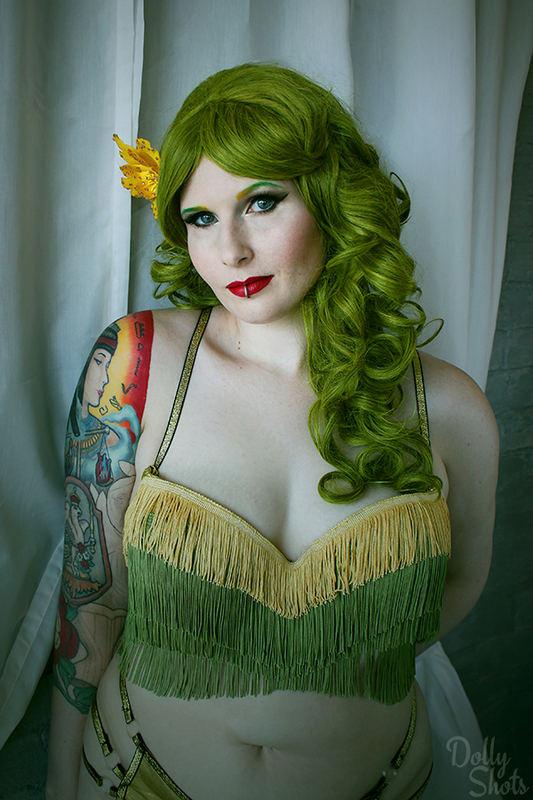 These ladies are ready to showcase the perfect balance of flawless pinup style and a total lack of morals. 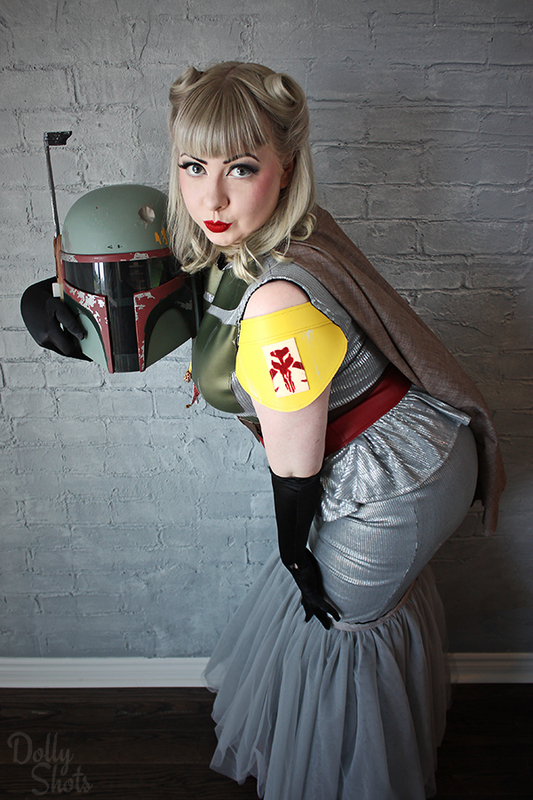 Betty Quirk may have no love for the empire – but she loves to pose in her finest Mandalorian armour exactly “as you wish”. Ho ho ho… Be careful to stay on Henrietta’s good side because this Hutt does not take kindly to disappointments. 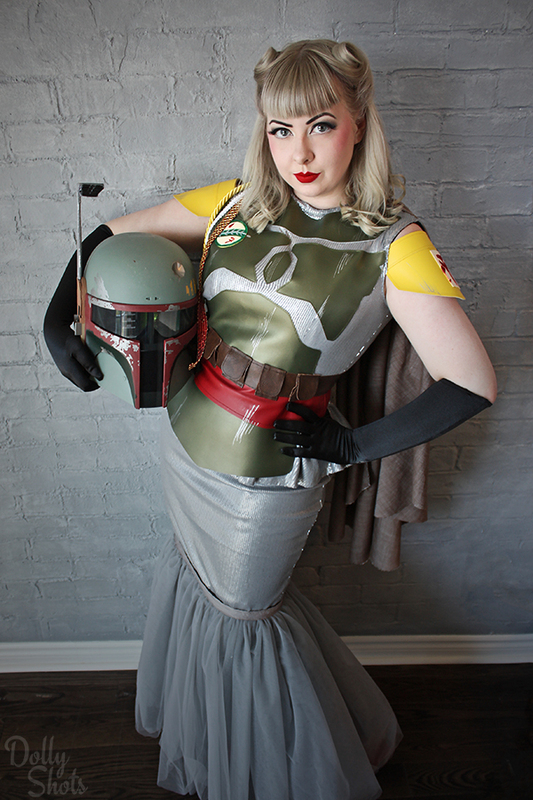 When not posing for the camera she enjoys decorating her home with people who have betrayed her, frozen in carbonite. Don’t worry though – both of these sci-fi femme fatales agree that you’re no good to them dead! I’m so proud to share this set of photos of my fabulously fashionable friend Sam, for whom I am the personal dress designer. 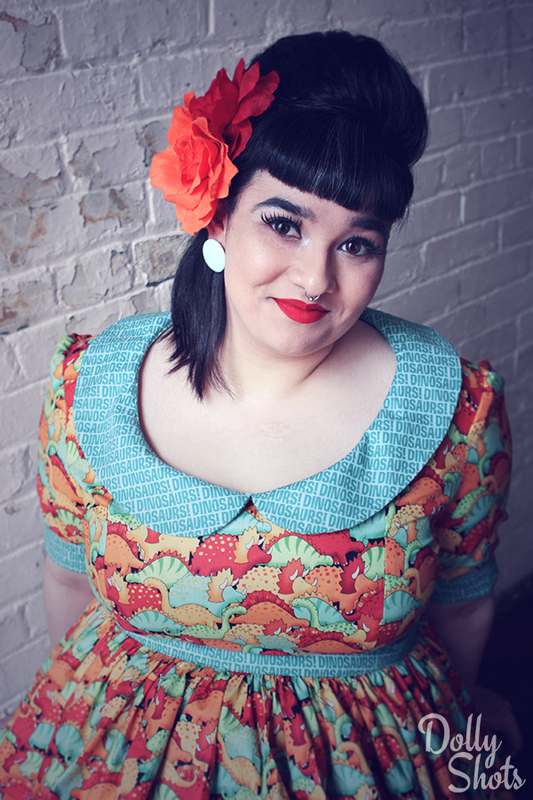 I love collaborating with Sam and adding to her fun, whimsical dress collection. 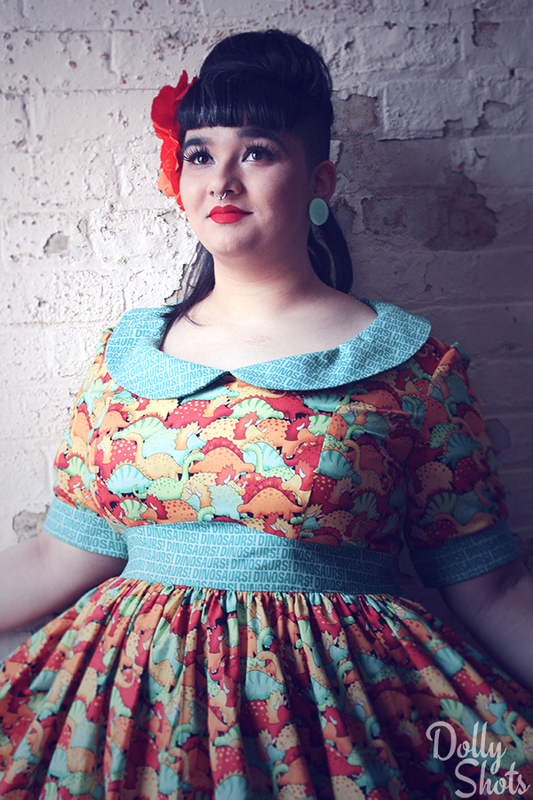 For this ensemble we found the perfect co-ordinating fabrics of both image and text dinosaurs. 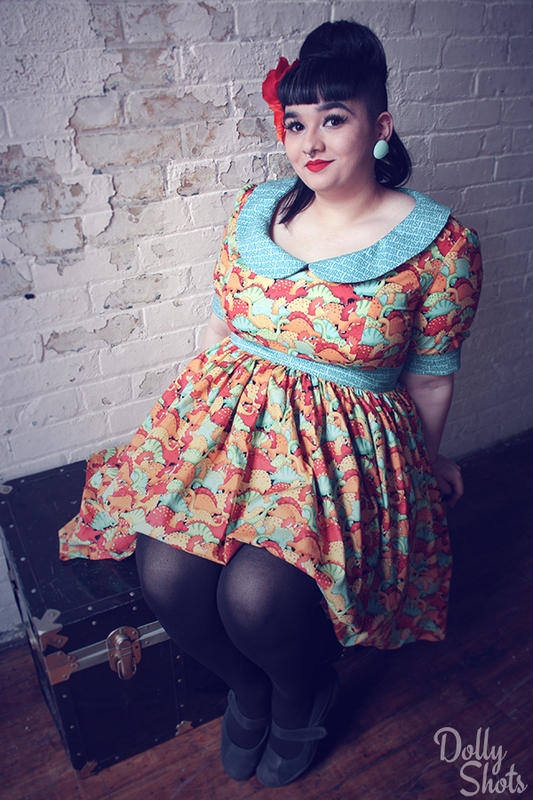 Sam has a love of dinosaurs and this colourful, cute dress was the perfect addition to her wardrobe. Please enjoy these photos of Sam in her dino dress!